Wazee Crane is a leader in overhead bridge crane manufacture and hoist supply. We have a complete manufacturing facility in Broomfield, Colorado and the capability to fabricate new cranes of virtually any complexity. Additionally, our field service group performs upgrades, service, inspection, load testing and repair of all brands of cranes. All Wazee cranes are 100% assembled in our Rocky Mountain facility and can be shipped anywhere. Our reputation is built on decades of serving as a premier crane builder and service center, and is demonstrated by the more than 5,000 cranes we’ve produced in that time. 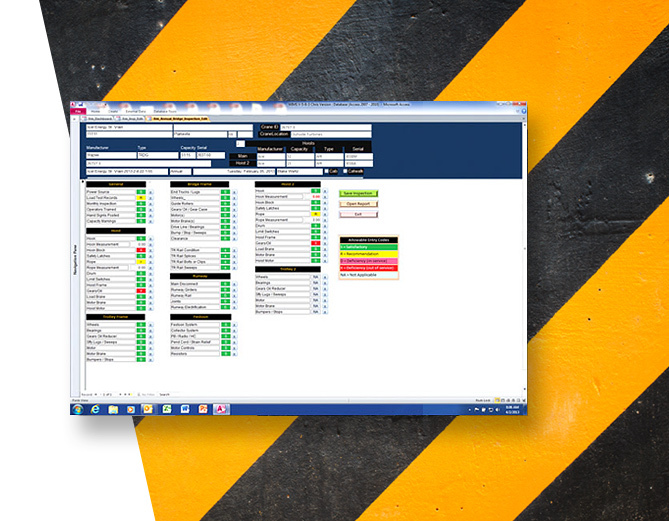 Wazee designs and builds in full compliance with CMAA, NEC, OSHA, MSHA and ASME. We have extensive electrical capability as well as AWS certified welders, and we maintain a complete crane parts and crane service department with trained crane service technicians on call 24-hours a day. Download our Crane Services Brochure here. Have a Question? Click Here to Make an Online Inquiry. Wazee Crane, now part of The Timken Company, is one of three service divisions operated by Wazee: Crane, Electric, and Wind. Wazee provides electrical and mechanical solutions to aerospace, manufacturing, municipalities, mining, agricultural, power generation, oil and gas, and other heavy industrial customers. At our complete manufacturing facility in Broomfield, Colorado, Wazee Crane has the capability to fabricate simple to complex overhead cranes including welded plate box girders with spans in excess of 100 feet. Manufactured according to CMAA, ASME, NEC, OSHA, MSHA, and ANSI regulations, our cranes are backed by advanced technologies in manufacturing and the highest industry safety standards. With a large selection of major component manufacturers to choose from, we are able to select the right components for each application. From new cranes to the modernization of existing cranes, our crane solutions and services menu is designed to meet our customers’ needs. We provide the latest equipment, training and certifications to ensure workplace safety. The following product safety options are available to keep your team and facility safe after installation: overload protection, swing control, load display, hoist monitoring, collision avoidance systems, radio control systems, audible and visual warning alarms, and operator training and certification. Keeping up with regular maintenance is an integral part of ensuring a safe workplace.